PS: Thank you for sharing all the jeevan of various gurusikhs. thanks heaps for sharing this.After reading this it makes you feel proud of ur sikhism and builds ur trust and faith in Waheguru. 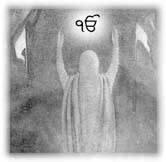 Waheguru ji ka Khalsa,Waheguru ji ke Fateh..